this is my latest art journal. I used lots of mediums by Finnabair, for colouring I used Glimmer mists by Tattered Angels and for final details some Distress Crayons. Butterflies are from Canvas Corp Brands papers and sentiment 7 dots studio. White splatters are from white Ecoline watercolour. 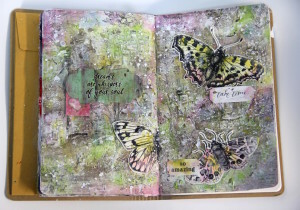 This entry was posted in Canvas Corp Brands and tagged 7 dots studio, butterfly, Finnabair, mixed media, tattered angels. today I want to share with you my second video with simple cards. It is easy card with window, little bit stamping and embossing. My favourite techniques. This entry was posted in Tutorials - cardmaking and tagged butterfly, cardmaking. 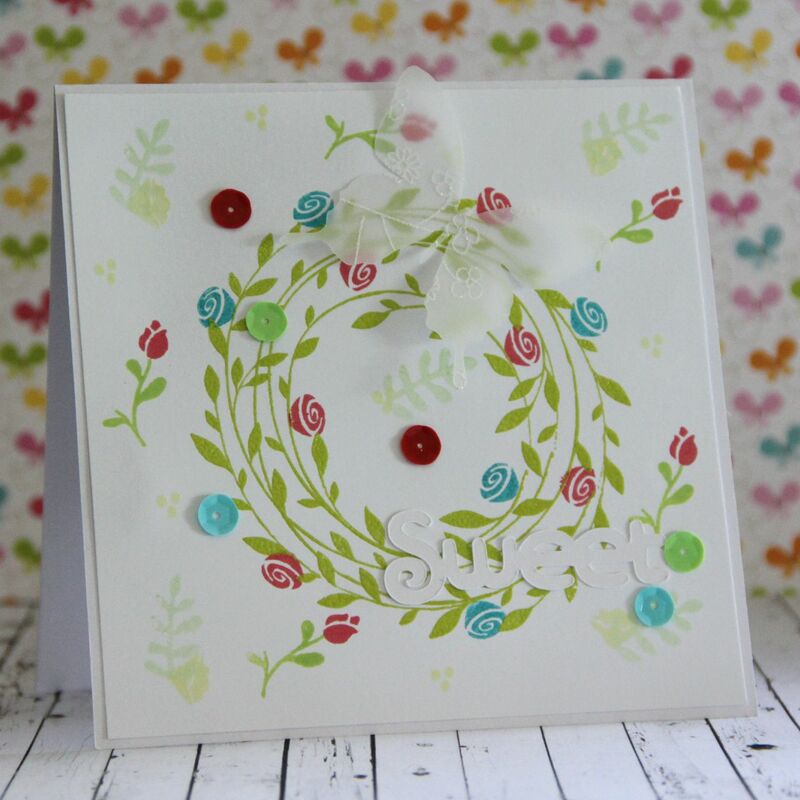 Foc case study challenge I made floral card. 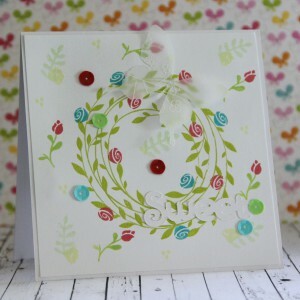 Base is Hero arts wreath stamped with green color box ink and embossed with clear embossing ink. 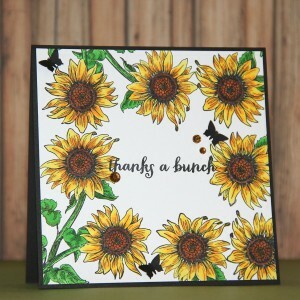 Than I used Hero arts inks for making flowers – from Lawn fawn. I add also butterfly which I cut from embossed vellum on my Silhouette cameo and finally also some sequins. Sentiment is cut on my Brother cutting machine and it is white. It is hard to make photo, but in live is card very nice. 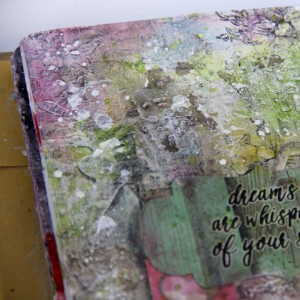 This entry was posted in Challenge and tagged butterfly, cardmaking, Challenge, Hero Arts, Lawn fawn. 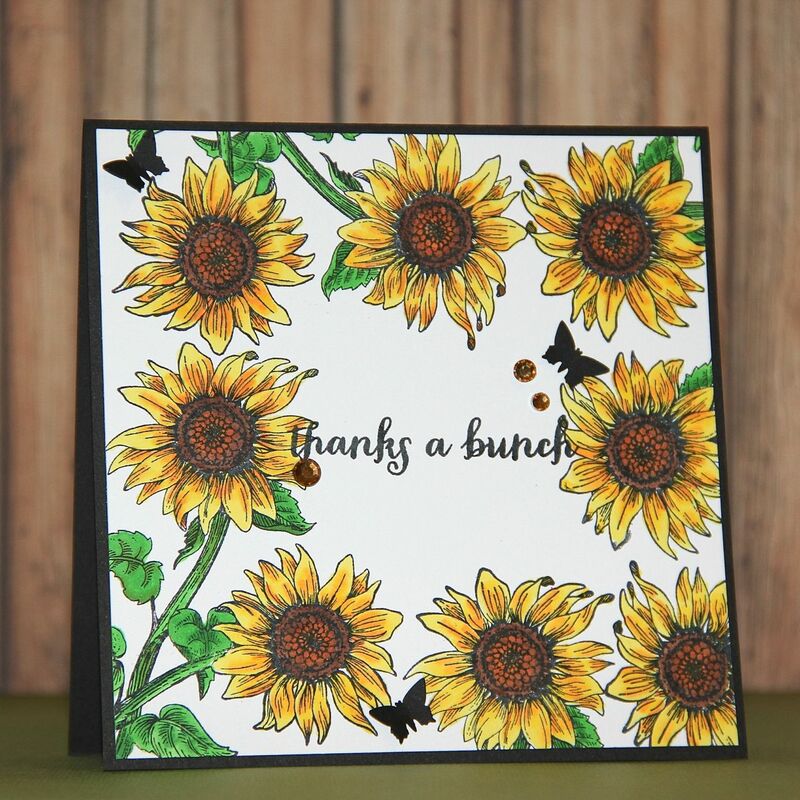 For current fusion challenge I decided to use so beautiful stamp from Penny Black with sunflower. So I stamped different sunflowers (yes it is still that one stamp) with memento black ink and coloured them with Copics. Than I add sentiment from Hero arts. To have enough black colour I add small butterflies made with punch. And at the end also some self adhesive gemstones. This entry was posted in Challenge and tagged butterfly, cardmaking, Challenge, Copic, Hero Arts, Penny Black.